After spending over two years with my iPad 2, I decided it was time to switch to something new. 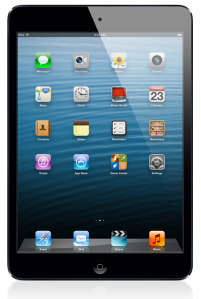 Apple’s choices are the iPad 4 Retina and the iPad Mini. The iPad Retina display is gorgeous, but it’s heaver and thicker than my old iPad 2. I just can’t justify upgrading to a heavier tablet, so I had been thinking about the iPad Mini. Yesterday I took the plunge and bought one. Tomorrow it’s going back to the Apple Store. Here’s why. First, the pros. The iPad mini is very light and supports LTE.